Debt.com » What is APR and what does it mean for your debt? Understand APR and the impact it has on your debt. If you have debt or plan to take on new debt, it’s vital that you understand what APR means. Lenders and creditors extend credit, so you can pay back purchases over time, but they don’t do it for free. APR is basically the price you pay to borrow money and charge – i.e. the cost of the convenience that credit provides. And understanding it is often the key to getting out of debt quickly for the least amount of money possible. What does APR really mean? To find out, you first have to know what it stands for. APR stands for annual percentage rate and it represents the total standard cost of the loan or of using credit. This means that APR includes not only the interest rate but also standard financing fees on some loans. So, although APR and interest rates are interconnected, they are not always identical. This guide from Debt.com will teach you everything you need to know about APR. If you have any questions, visit our Ask the Expert section to ask Debt.com’s panel of experts. 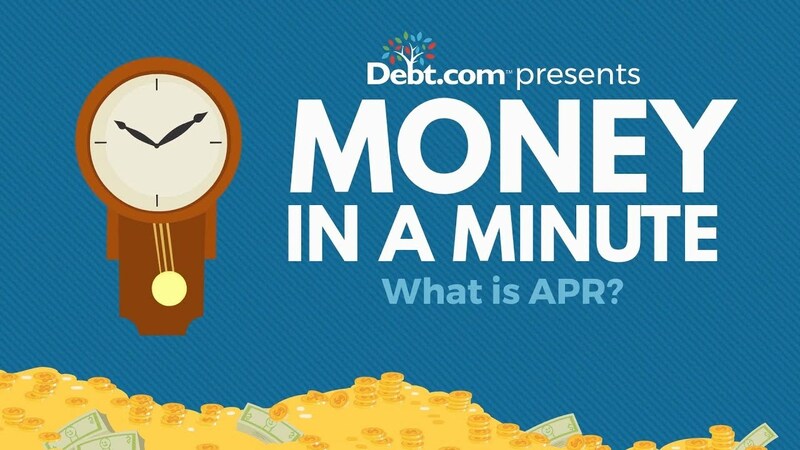 Money in a Minute: What is APR? How can credit card interest rate hurt me? If you carry a balance each month, you’re literally giving away your money. Think of it like this: Here’s a dollar; now take 15 cents and just hand it to someone you don’t know. That’s what happens when you don’t pay off your credit card each month. How can I get out of credit card debt once and for all? Debt.com can help. There are many proven programs out there and Debt.com can help you find the one that’s right for you. An annual interest rate is the interest rate applied over a one-year period. It’s basically APR minus fees. A periodic interest rate is the interest rate charged in a single billing cycle. This is the rate you can use to calculate monthly interest charges. You multiply the current balance of a loan or credit card by the periodic interest rate to determine accrued monthly interest charges. These charges are deducted out of your monthly payments. This means only a portion of your monthly payments go to reducing principal (the actual debt you owe). For example, let’s say you have a mortgage for $240,000 at a 5% interest rate. Your monthly payment would be $1,288.37. However, only $288.37 goes to pay off the principal. The other $1,000 goes to cover accrued monthly interest charges. However, there are other fees that are not included in APR, such as appraisal fees, attorney fees, credit report fees, title fees and notary fees. Any fees incurred because of repayment issues are also not included in APR. This includes early repayment or prepayment penalty fees, late fees. For credit cards, no fees are included with APR. So, credit card APR is identical to the annual interest rate, even on cards that have things like annual fees. APR is expressed as a percentage of the total debt amount. So, for instance, let’s say you take out a $20,000 personal loan at 5% APR. The total cost of that loan amount for you as the borrower over a one-year period would be $1,000. By contrast, let’s say you took out the same $20,000 loan at 20% APR. In this case, the total annual cost would be $4,000. This is why you always want to aim for the lowest APR possible on any debt financed. Higher APR means higher costs. It also usually means that it takes longer to pay off your debt because more of each payment goes to cover accrued interest charges. But this means you can only use APR to calculate the annual cost of a loan. If you want to calculate your monthly costs, then you need to know the interest rate. How do lenders determine APR? Since APR is the combination of annual interest rate and fees, there are a number of questions that determine the APR you receive on a loan or credit line. What is the type of loan or credit line? This determines what fees get rolled into APR. What is your credit score? This determines what annual interest rate you can qualify to receive. What is the current economic condition? 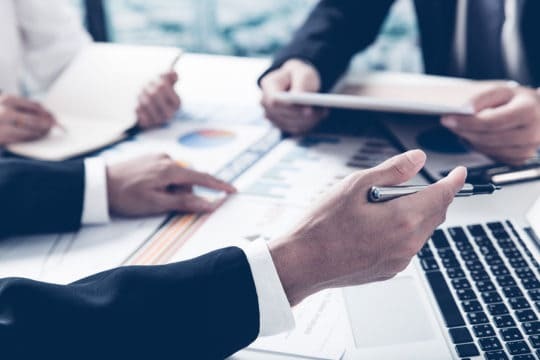 Conditions such as where the Federal Reserve currently sets their prime interest rate can also affect how APR is determined. That last one is important, and it’s often overlooked. Just because you have excellent credit, it doesn’t mean you always get rock-bottom low-interest rates. The Federal Reserve raises and lowers the benchmark interest rate (known as the federal funds rate) to help control the economy. In a weak economy, the Fed drops rates low to encourage borrowing. But in a strong economy, they raise rates to combat inflation. That means right now, as our economy gets stronger, borrowing money gets more expensive. If you purchased a home at the height of the Great Recession, you got a really great deal because the prime rate was near zero. But now, as the Fed completes a series of rate hikes to combat inflation, it means that loans and credit lines are getting more expensive. If you know the annual interest rate for a loan or credit card, it’s fairly easy to calculate monthly interest charges. First, you divide the annual interest rate by the number of billing cycles to determine the periodic interest rate. For most types of credit, this means you divide the annual interest rate by 12. This will tell you exactly how much you pay in accrued monthly interest charges. If you subtract the interest charges from your monthly payment this tells you how much principal, you pay off in a billing cycle. For credit cards, you can use APR to calculate interest charges because credit card APR doesn’t include fees. For loans, you may not necessarily be able to use APR to calculate interest charges because fees are rolled in. That being said, keep in mind that qualifying for good APR is only possible with good or excellent credit. If you have less than perfect credit, then you should expect to qualify at higher APR. For instance, our friends at ValuePenguin say that someone with bad credit should expect to see personal loan APR up to 28-32%. That’s higher than the rates on most credit cards for bad credit! When shopping around for interest rates, it’s important to know the difference between APR and APY. Unlike APR, APY factors in compounding interest. Compounding interest is what happens when you earn interest on interest. Basically, this means that if something has an APR of 15%, the APY is slightly higher than 15% because it takes into account the fact that the interest is compounded monthly. The takeaway here is to be aware of how often the interest on your loan or credit card is compounded because APR can sometimes be used as a “disguise” for a higher-interest account. What does it take to lower APR? You can negotiate with the lender to eliminate fees that you’d normally pay, such as brokerage fees. You can reduce the annual interest rate applied to the balance. The most common of the two is to reduce the annual interest rate. Interest rate negotiation is an essential skill for anyone that uses credit. When you negotiate interest rates on loans, you refinance the debt. Just keep in mind that if you refinance a loan, you’ll face another round of fees. For example, if you refinance your mortgage, expect another round of closing costs. When you negotiate lower rates on credit cards, you simply call the lender to ask for a rate reduction. There should not be any fees for lowering your rate. You should consider negotiating a lower rate with a lender or creditor anytime you improve your credit score. You may also want to consider refinancing and rate negotiation if the economy takes a turn and the Fed drops their rates again. On loans, you can shop around for a new loan for any lender when you want to refinance – not just the lender your original loan came from. On credit cards, you call the creditor’s customer service line to negotiate. Debt.com’s founder has 7 tips on how to negotiate lower credit card APR that may be handy. Don’t let high APR waste your money and hold you back from eliminating your debt fast. Find solutions to cut APR and pay off your debt faster.